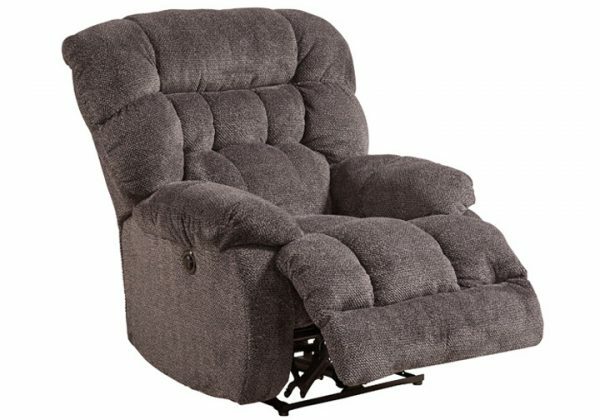 Thick over-stuffed cushions, pillow top armrests, and soft, inviting upholstery will make relaxing in the Catnapper Daly Rocker Recliner hard to resist. The Daly Recliner chair cradles your body for cozy support and the chaise-style ottoman perfectly contours and bolsters your legs, for hours of restful sitting. Designed for quality and comfort, the Daly Recliner chair features uniform seating with independently wrapped foam-encased coils for long lasting support. Gel-infused Memory Foam construction keeps its original shape and appearance, while cooling and decreasing motion transfer. The Catnapper Daly is available in 4 modern colors to perfectly match any room’s décor. For a more information about Jackson Catnapper’s warranties, click HERE. Jackson™(stationary living room) and Catnapper™ (reclining living room) furniture is made for the young, the old, the small, the large, the classic, the contemporary, and so on. 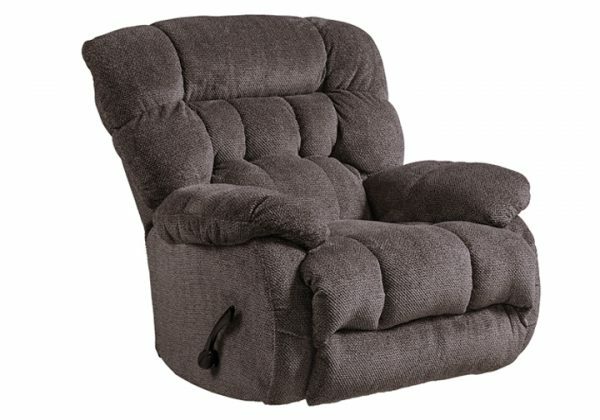 They believe that Every Body should have a comfortable seating experience. Leaning on their heritage of over 80 years, they have ALWAYS focused on the best manufacturing techniques and designs to provide every consumer a product they can afford and be proud of.